The shoot for Viann & Kelvin was the last day of our Bordeaux tour. It was hot! Couldn’t image the weather could change that much in just a few days. This year, we managed to shoot at the most prestige châteaux in Bordeaux including First Growth vineyards, thanks to the previous visits I paid there, lots of communication efforts and some special arrangements made by my clients. 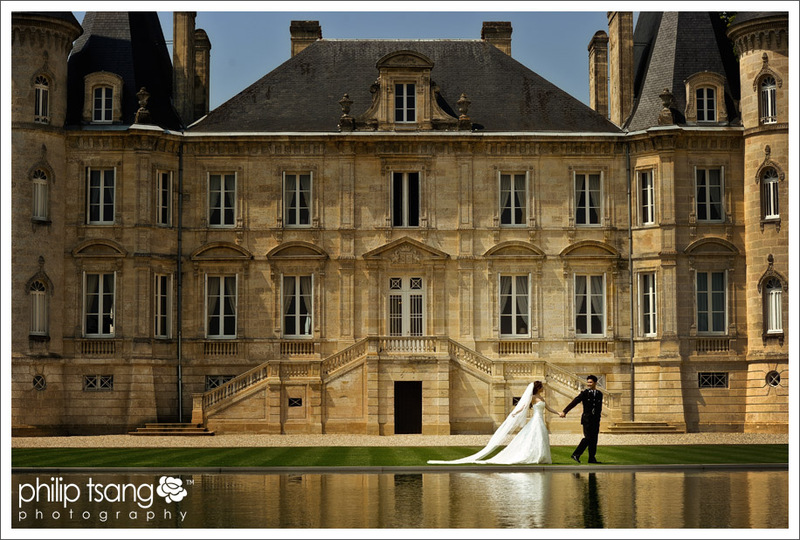 5 shoot days in Bordeaux, 5 wedding couples (all amazing clients! ), different weather condition, different shoot angles, different surprises. OMG, I enjoyed the shoot so much. Thanks to Viann & Kelvin and the other wedding couples joining the trip. You made it happened! I would also like to take this opportunity to say thank you to MUA Jenny Kwan, who did a great job helping the clients and acting as my temp photography assistant! Congratulations to Viann & Kelvin! Bordeaux, I will see you again soon!